T.J. Miller, an actor of modest fame, joined us here in Sneer Studios to have his portrait drawn from a small vivarium atop a posing stool. It may surprise some readers to learn that he is not a human actor who stands at just over six feet tall. 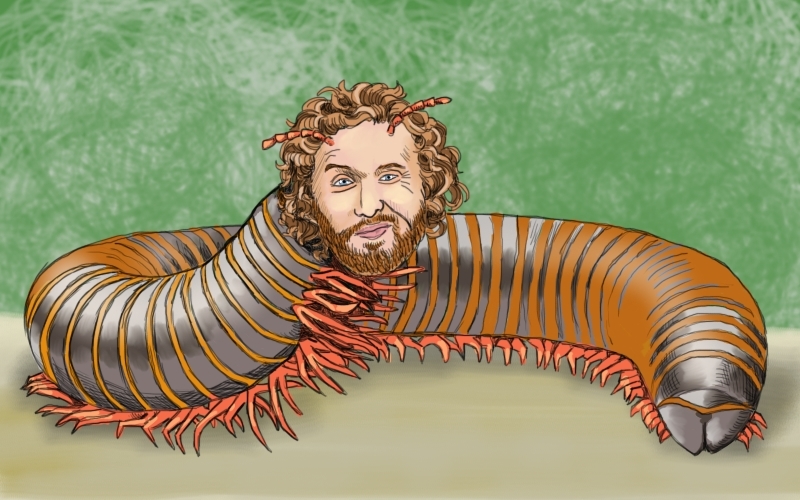 What you occasionally see acting in films and movies is a shell of a man controlled by his true form, which operates from the inside: a four inch long arthropod whose real surname is Millerpede. He is not known to be toxic, but he does skitter around at an unsettling speed.